Let’s have a look at how the celebrities celebrated the festival with their families. 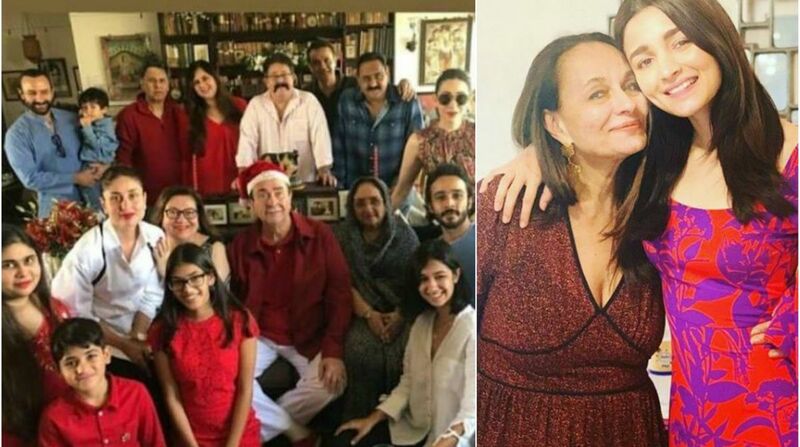 It was indeed a merry Christmas for the Bollywood celebrities this year as they celebrated the winter festive with family and close friends. From decorating the trees to preparing dishes to posing for family pictures, the tinsel town celebrities filled everyone awe with their pictures and videos all over the social media. Let’s have a look at how the celebrities celebrated the festival with their families. Keeping the legacy, the Kapoor’s annual Christmas brunch was again a sight to behold. Kareena Kapoor Khan with Saif Ali Khan and little munchkin Taimur Ai Khan, Randhir Kapoor with wife Babita Kapoor, Karisma Kapoor with her children Samiera and Kiaan, Armaan Jain, Ranbir Kapoor, and Ayan Mukherji were spotted for the get-together. Newlyweds Priyanka Chopra and Nick Jonas are in England and celebrated their first Christmas post-marriage with family. Madhu Chopra, Joe Jonas, Sophie Turner, Frankie Jonas were among the others who celebrated with the couple. Alia Bhatt rang in Christmas with mom Soni Razdan and some scrumptious food which was prepared by her mother. From roasted turkey and molten toffee pudding to posing with Christmas tree, Alia shared photos from her Christmas celebration. Twinkle Khanna’s intimate Christmas party included her husband Akshay Kumar, son Aarav, sister Rinke and her family. The family celebrated the day with Santa caps and beards. The newlyweds Ranveer Singh and Deepika Padukone celebrated Christmas at Zoya Akhtar’s bash which was attended by other tinsel town celebrities. Not just that, the entire Bhavnani’s clan headed to watch Ranveer’s ‘Simmba’ special screening. Salman Khan threw a grand Christmas party for his friends and family. The major highlight of the party was Salman dancing with brothers Arbaaz Khan and Sohail Khan who were later joined by brother-in-law Aayush Sharma.